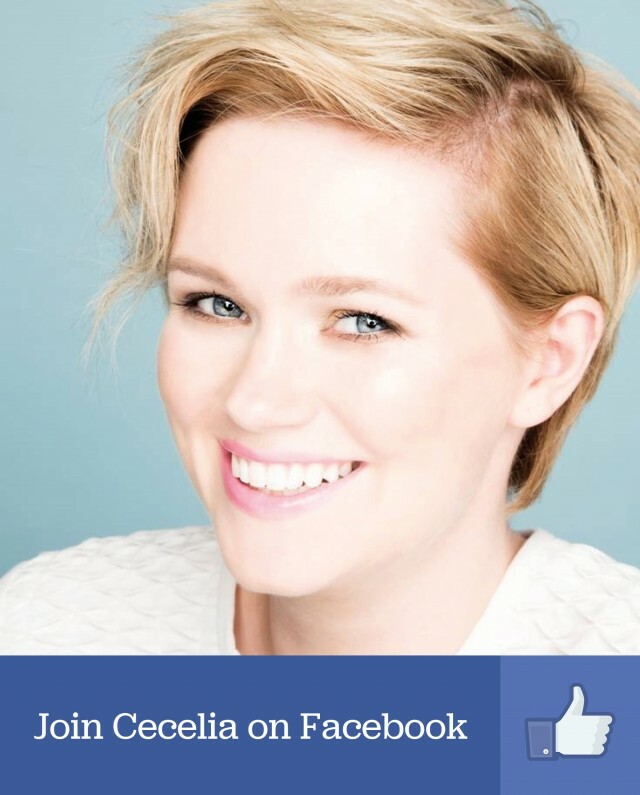 We were first introduced to Celestine North in Cecelia Ahern's YA debut, Flawed. The following year brought the highly anticipated sequel to Celestine's mission to prove that to be flawed is to be human. Now on the run, following being branded as Flawed by the morality court, Celestine must make a decision. Should she save herself or risk her life to save all of the Flawed? 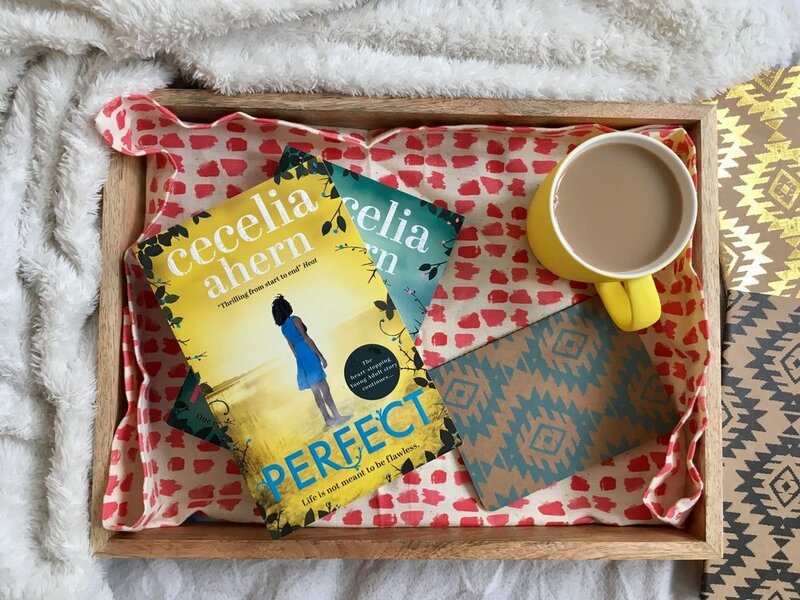 We went behind the scenes with Cecelia to uncover a few things you may not have known about Perfect. 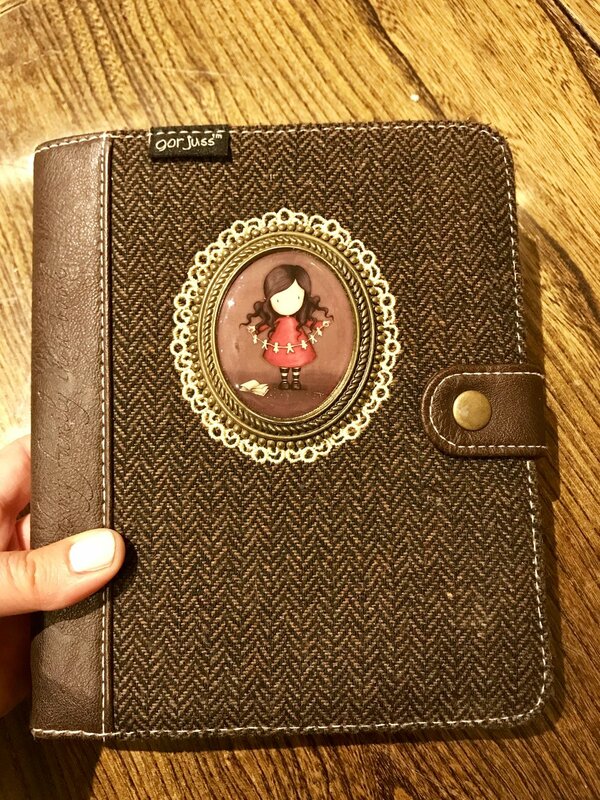 "This is the notebook I used to capture and develop my ideas for Flawed and Perfect. 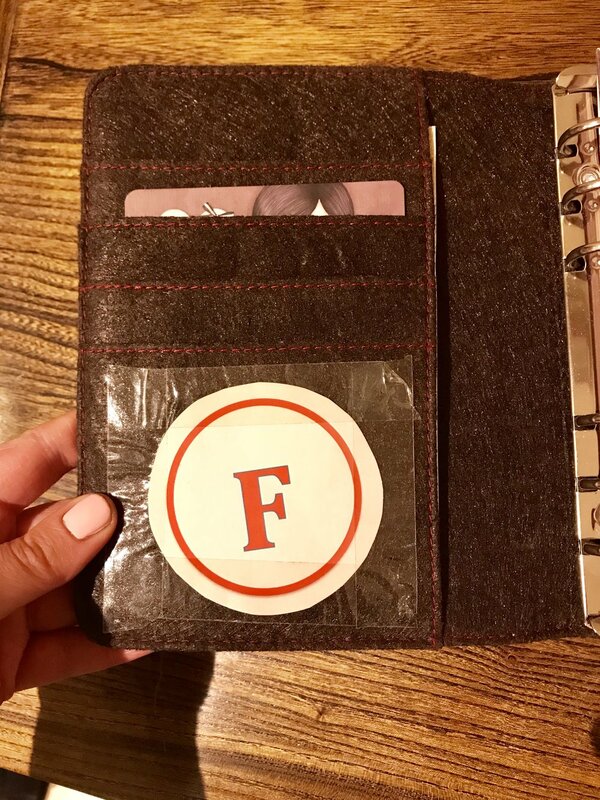 I always like to have a visual to work with and so I printed out my own F brand and stuck it to the inside of the notebook. 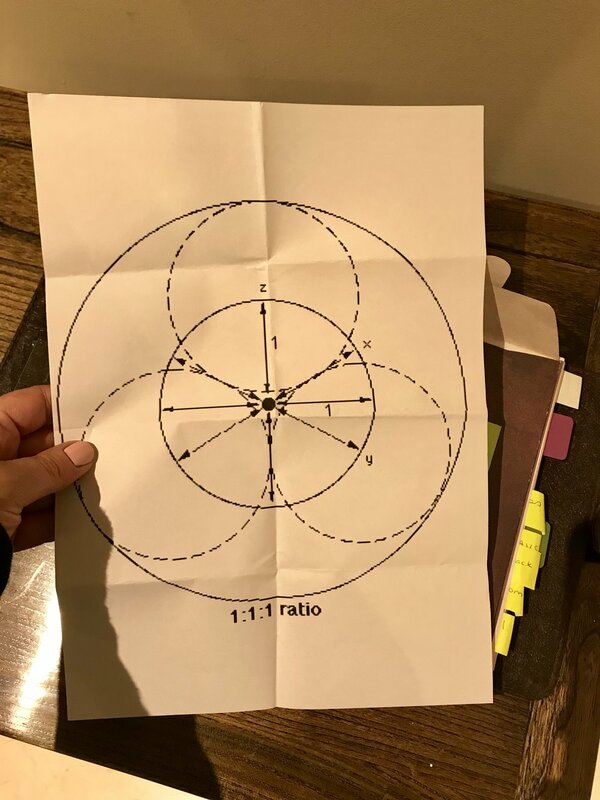 The circular image represents the image of the “perfect” symbol that Carrick presents to Celestine in Flawed and which is a symbol that plays a role in Perfect too." 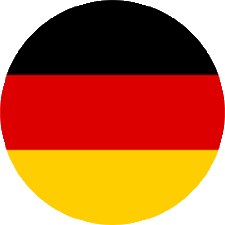 "I’m a big fan of Gorjuss art. This comes with the phrase; “I found my family in a book.” Which I love because when we become attached to characters in stories they often feel like family and it’s also true when I’m creating them." 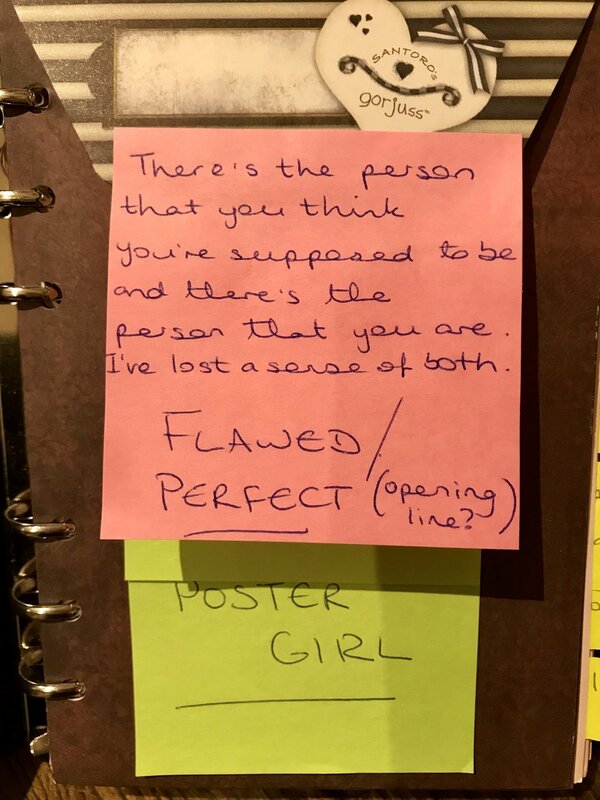 "The pink post-it note shows that I knew my opening line for Perfect long before I wrote it, I think I’d planned it while plotting Flawed and wrote it on a post it note immediately so I wouldn’t forget. Below, the green post it shows a title for Flawed that I was considering - Poster Girl. I was strongly considering it and sent out a “survey” to my friends, which I do sometimes, and I think most of them preferred Flawed. However I ultimately chose Flawed because I felt that Perfect would be an ideal sequel title and they fit together exactly as I wanted." "In Perfect I intended to kill off a character but he/she managed to survive the scene by the time I finished writing it! His/her death wasn’t necessary as I was writing, and it felt good saving a life! " "One of Crevan’s speeches in Perfect was inspired by the words said to me by a particularly nasty person during the period I was writing Perfect. I took those words and how I felt when they were directed at me and I used them to my advantage when writing. It’s rare for me to do something like that but it felt right and very empowering to do so." To hear an audio excerpt from the book, find out more about the inspiration behind the book or to order Perfect paperback, click here.